Professor Rebecca Weintraub (L) and Pat Wadors (R), senior vice president of Global Talent Organization at LinkedIn, take a selfie together. Updated Feb. 24, 2016 1:35 p.m.
Mentoring is an integral part of many students’ experience at USC Annenberg, as exemplified by the fact that three Annenberg faculty members have been among those recognized with the prestigious Provost’s Mentoring Award in the past three years. The most recent recipient of the selective honor, which is awarded to no more than two professors selected from across the university annually, is Rebecca Weintraub, a longtime USC Annenberg clinical professor and director of the Communication Management Master’s program. Weintraub was announced as the 2016 Provost’s Mentoring Award recipient in January, having been nominated by Dean Ernest J. Wilson III, and is the only clinical faculty member to have received the honor. “Your philosophy on creating opportunities for those you mentor has led to stellar placements for your graduate students and contributed to the academic success of many faculty at the Annenberg School,” Weintraub’s nomination letter read in part. Having just entered her 16th year of teaching at USC Annenberg, Weintraub holds a Master’s and Ph.D. from USC, and in 2000 transitioned to academia from a lengthy career in corporate communication at Hughes Electronics. At USC Annenberg, Weintraub oversees the successful Communication Management Master’s program, and pioneered the online version of the program, having taught at least one online class each year since 2003. Just as she never expected to make a career out of academia, Weintraub said becoming a mentor wasn’t something she planned, either — it just came naturally. Weintraub’s natural inclination to connect with others has proven especially beneficial in directing the Communication Management program, in which many students are older, working professionals who especially appreciate the live sessions and one-on-one meetings Weintraub offers as an instructor. Despite a reluctance to label herself as a mentor, Weintraub agrees she’s always been a people-person. When she forwarded her husband the email announcing she had received the Provost’s Mentoring award, he was eager to share the news with dozens of former colleagues, who responded remarking they were completely unsurprised to hear she had been recognized with the honor. Further confirmation of her drive to be a “connector,” Weintraub said, were the four-letter results of a Myers-Briggs test she took during one of her Communication Management classes: ENFP. In addition to an obvious natural gift for working with people, Weintraub said she also credits her success to her students and colleagues at USC Annenberg. Weintraub holds her USC Annenberg colleagues in such high regard, in fact, that she was floored to learn she’d even been nominated for the Provost’s Mentoring Award — just one faculty member is nominated from each school annually. Though Weintraub said it’s hard to quantify the students she’s mentored, or even to find an all-encompassing description for what mentoring is, she estimates that in some form or another, she’s mentored hundreds of students and colleagues throughout her teaching career. One of those people is fellow USC Annenberg faculty member Anne Framroze-Roy, who has taught alongside Weintraub in the Communication Management program for nine years, both on-campus and online. The two met at a professional conference, and Weintraub later encouraged Framroze-Roy to join the Communication Management program as a teaching assistant, and was also instrumental in guiding her through the process of pursuing a doctorate degree in cultural studies at UCLA. Another fellow faculty member is Jessica Neff, who was introduced to Weintraub while completing her Master’s and Ph.D. degrees at USC Annenberg. Feeling uncertain at first about whether she wanted to pursue teaching, Neff went to Weintraub for advice, and the two kept in touch. Weintraub eventually asked Neff to help teach in the Communication Management program, for which she lectures online and on campus. For Weintraub, it’s hardly unusual for her mentoring relationships with students to extend long after graduation. 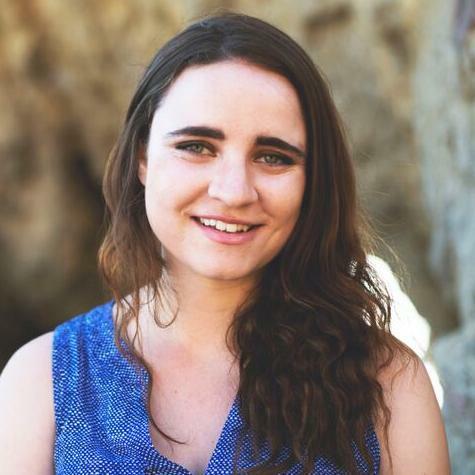 One USC Annenberg mentee, who graduated more than a dozen years ago, consistently checks in with Weintraub whenever she changes jobs, and has consulted with her in order to hire fellow USC Annenberg graduates. For another recent Communication Management graduate, Weintraub helped create a paid internship with the National Park Service to help a solve a communication dilemma the Yellowstone Foundation had been facing. The student Weintraub recommended for the four-month project, Udeitha Srimushnam, ended up spending nine-months at the national park, and was ultimately able to help fix the problem. Weintraub said the experience not only added to the Srimushnam’s professional skill set, but also to her life experience. Srimushnam, who received her masters in Communication Management in 2013 and was a student of Weintraub’s before she became her mentee, said Weintraub’s class was the most difficult she took during the graduate program — and was exactly the motivation she needed. Srimushnam heard from Weintraub just about every week during her internship, and said Weintraub always made sure that she was doing well not only professionally, but also that Srimushnam was eating enough and staying warm during the winter. Srimushnam said this is typical of their relationship, with Weintraub serving not only as a professional mentor, but also as a sort of life coach at times. For Weintraub, ensuring that mentoring is a two-way street has allowed her to find just as much fulfillment in it as the students and colleagues she’s advised.